China vs. Korea: Is this the year the LCK crown falls? RNG have a lot to work for. South Korea has held the reins of the League of Legends World Championship since 2013 when SK Telecom T1 won their first title. Europe’s Fnatic and Taiwan’s Taipei Assassins took home the trophy in 2011 and 2012, but from then on, SKT and Samsung have won every single year—two organizations from the LCK. League fans worldwide have been waiting for five years for the LCK crown to be passed on to the next region, but it’s just never happened. This year, however, might be the rest of the world’s best chance, and all of that hope lies with China. Throughout the Summer Split, Invictus Gaming completely dominated the LPL up until they reached the finals of the playoffs against RNG. There, RNG’s legendary bot laner Jian “Uzi” Zi-Hao carried his team, who had won the Mid-Season Invitational in the spring, to victory. Both teams are heavy with expectations, and both teams might just have what it takes to finally unseat Korea from the Worlds throne. So, between Invictus, RNG, and the LCK’s three teams in attendance, which region stands the best chance at winning? Can China actually pull it off? As fun as it’d be to say that the LPL and RNG can pull it off, it’s too difficult of a question to answer by outright saying one or the other. 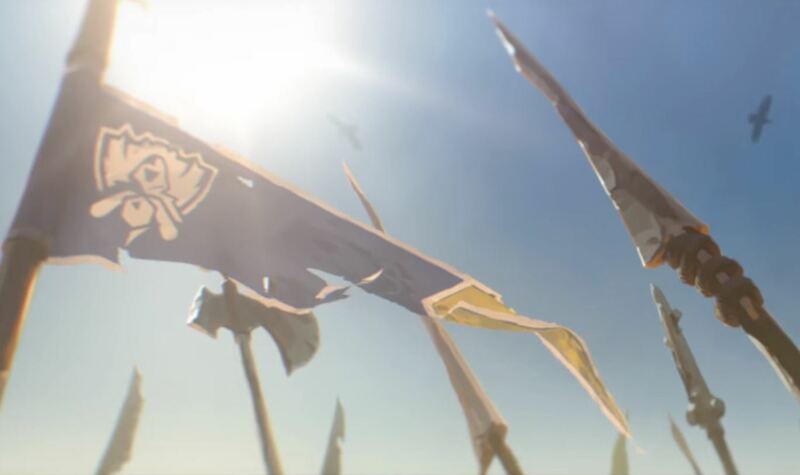 The truth of the matter is a big, fat, obscure “maybe.” The LPL certainly has momentum on its side with RNG winning MSI and Uzi’s Cinderella story being so dangerously close to completion. If he can finally pull off the dream that he’s been chasing for half a decade, it’d be really exciting, and that’s probably why fans care so much about China winning. Momentum is a very important thing at tournaments like this, too. These teams at the top are only separated by the smallest differences, like the meta, mentality, and in this case, teams that are on fire. Invictus and RNG are certainly on fire—Invictus ran the ringer all summer long and RNG miraculously took them down in the finals and also won MSI. They’re going to need a lot more momentum to take down Korea this year, though, because the competition is stiff, even without SKT in attendance. The scariest LCK team at Worlds this year, by far, is kt Rolster, the “super team” of Korea. Each player on the starting roster is legendary in their own right, and although they’ve built sort of a reputation for choking when it counts and therefore not usually making it to Worlds at all, they’re finally in attendance and they’re out for blood. Each individual on the team is regarded as the best in the world at their respective role, and those who aren’t are at least in the conversation. With that level of skill, it’s hard to consider that the LPL has a chance at all, but like we mentioned, kt are infamous for choking, and the pressure of Worlds is more intense than any pressure they’d feel at home in the LCK. So what about Gen.G and Afreeca Freecs, the other two LCK teams at Worlds this year? Gen.G, as you probably already know, is the former Samsung Galaxy squad that won Worlds last year. They struggled a bit this year, but even for being the massive underdogs in the regional gauntlet, they managed to go on a miracle run and re-qualify for Worlds. Although they and Afreeca Freecs were both in the middle of the pack this summer, they’re still far more impressive than middle-tier teams anywhere else in the world, including China. Realistically, although Gen.G’s summer wasn’t excellent, they’re still better than most teams at the tournament, whether they’re from major or minor regions. Fortunately for the LPL, though, both Afreeca and Gen.G probably aren’t as good as either RNG or Invictus, but it’s definitely a close call. All four teams are extremely talented, regardless of this summer’s results and who’s on fire or not, so it’ll be a tough battle for them all. Really, it’ll come down to whether Invictus and RNG have what it takes to face down kt Rolster, who are considered the real front-runners at the event. The answer, however, is that they probably don’t. If either LPL team can take on kt with even footing, it’d probably be RNG with the star power of Uzi. But the entirety of kt is just so good that it’ll be tough for RNG to feed the resources to Uzi that he’ll need to carry. If RNG want to win, they’ll need to capitalize on kt’s reputation for falling short in important series, since RNG have already proven at MSI that they have what it takes to stand their ground. The World Championship kicks off this coming Monday at 3am CT with the Play-in Stage.